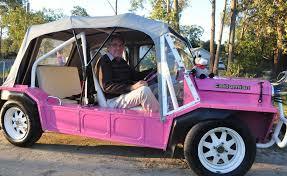 International Moke Day is about getting out and about in your Moke with Moke owners from around the world. 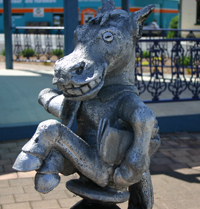 The Moke Round Up is on again in Tamworth in 2020 on between October 21 and 25. Visit our website. Our Facebook page and the Australian Moke Forum will be updated in addition to this website as more information becomes available. Come and join us for a ten day mokestraveganza! The official welcome BBQ will be held on the 11th of April 2018, however day tours will be held from the 8th April 2018 to allow extra time to explore the beautiful shoalhaven region. The event will take in sites all over the Shoalhaven including Kangaroo Valley, Berry, Currarong, Huskisson, Sussex Inlet,Bendalong and the Bay and Basin. International Moke Day is about getting out and about in your Moke, preferably with other Moke owners, on Sunday September the 25th and sharing your photos and stories with Moke owners from around the world at the end of the day. 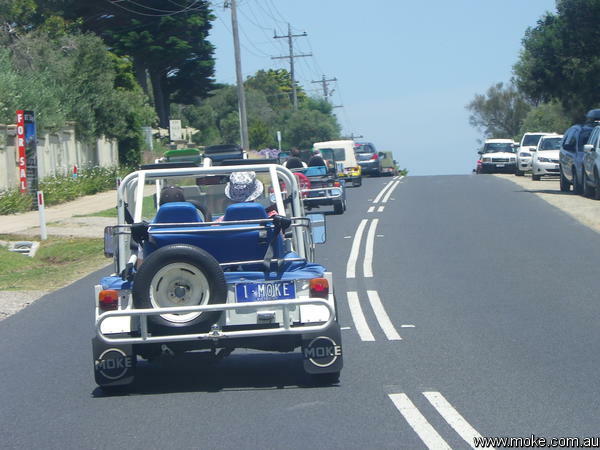 International Moke Day is about getting out and about in your Moke, preferably with other Moke owners, on Sunday the 28th and sharing your photos and stories with Moke owners from around the world at the end of the day. International Moke Day is held on the last Sunday of the September each year and is open to anyone with a Moke who wants to participate. Whether you are apart of a group of Mokes or its just you and your Moke, everyone can be a part of International Moke Day and feel just that little bit special because you have a Moke and other people don't. Jack Daniels would be Proud. Although sometimes I do wonder about the effort of organising things like International Moke Day, there are moments that just spur me on like this contact I received just before IMD 2013. My father Jack Daniels was heavily involved in the creation of the Moke. He would be immensely proud that you are commerating it in such an auspicious way. Best wishes to all you Moke enthusiasts.